Alex Moule is a specialist endodontist with nearly 30 years’ experience in full-time clinical endodontic practice. He has in many universities worldwide and is currently a full-time Associate Professor and Discipline Lead in Endodontics at the School of Dentistry, University of Queensland. From 2012 to 2016 he was an Associate Professor at Kuwait University. Alex was President of the International Association of Dental Traumatology from 2014 to 2016. He was the co-chair of the 2016 World Congress on Dental Traumatology. 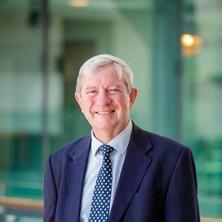 Alex is a past president of the Australian and New Zealand Academy of Endodontists and has been a member of the Australian Society of Endodontology for over 45 years. He is registered as a specialist endodontist in Australia and in the United Kingdom. He serves on several editorial boards and scientific review committees and is a member of the FRACDS Board of studies for Endodontics. Alex has supervised numerous research theses and has published seventeen book chapters and over 60 peer reviewed publications, as well as two books on the diagnosis of orofacial pain, the latest, Diagnosing Dental and Orofacial Pain – a Clinical Manual was published by Wiley Blackwell in 2017. His standing in the dental community has been recognized by the award of Fellowships from the International College of Dentists, the Academy of Dentistry International, the Pierre Fauchard Society and the International Association of Dental Traumatology.Alex’s special fields of interest are pain diagnosis, dental traumatology, and endodontic diagnosis. He is married is to Judy-Ann and has two sons, Christopher and Richard, both dentists, and a daughter, Elizabeth, who is a geologist. Particular interest in how patients describe orofacial pain both verbally and non-verbally. Th observational studies carried out over moe than 20 years and published recently in Diagnosing Dental and Orofacial Pain, A Clinical Manual. Moule, A.J and Hicks, M.L. (eds). Wiley Blackwell, Oxford, UK. will be of invaluable assistance to practitioners in the assessment of patients in pain. Research work carried out on the reactions between root canal irrigating solutions has lead to an understanding that irrigants are sometimes rendered ineffective when admixed with another solution. Sodium hypochlorite in endodontics: its properties, production, shelf-life and current use in Australia. DiAngelis, Anthony J., Andreasen, Jens O., Ebeleseder, Kurt A., Kenny, David J., Trope, Martin, Sigurdsson, Asgeir, Andersson, Lars, Bourguignon, Cecilia, Flores, Marie Therese, Hicks, Morris Lamar, Lenzi, Antonio R., Malmgren, Barbro, Moule, Alex J., Pohl, Yango and Tsukiboshi, Mitsuhiro (2018) Guidelines for the management of traumatic dental injuries: 1. fractures and luxations of permanent teeth. Pediatric Dentistry, 40 6: 413-423. Andersson, Lars, Andreasen, Jens O., Day, Peter, Heithersay, Geoffrey, Trope, Martin, DiAngelis, Anthony J., Kenny, David J., Sigurdsson, Asgeir, Bourguignon, Cecilia, Flores, Marie Therese, Hicks, Morris Lamar, Lenzi, Antonio R., Malmgren, Barbro, Moule, Alex J. and Tsukiboshi, Mitsuhiro (2018) Guidelines for the management of traumatic dental injuries: 2. Avulsion of permanent teeth. Pediatric Dentistry, 40 6: 424-431. Andersson, Lars, Andreasen, Jens O., Day, Peter, Heithersay, Geoffrey, Trope, Martin, DiAngelis, Anthony J., Kenny, David J., Sigurdsson, Asgeir, Bourguignon, Cecilia, Flores, Marie Therese, Hicks, Morris Lamar, Lenzi, Antonio R., Malmgren, Barbro, Moule, Alex J. and Tsukiboshi, Mitsuhiro (2017) Guidelines for the management of traumatic dental injuries: 2. avulsion of permanent teeth. Pediatric Dentistry, 39 6: 412-419. Malmgren, Barbro, Andreasen, Jens O., Flores, Marie Therese, Robertson, Agneta, DiAngelis, Anthony J., Andersson, Lars, Cavalleri, Giacomo, Cohenca, Nestor, Day, Peter, Hicks, Morris Lamar, Malmgren, Olle, Moule, Alex J., Onetto, Juan and Tsukiboshi, Mitsuhiro (2017) Guidelines for the management of traumatic dental injuries: 3. Injuries in the primary dentition. Pediatric Dentistry, 38 6: 420-428. Diangelis, A. J., Andreasen, J. O., Ebeleseder, K. A., Kenny, D. J., Trope, M., Sigurdsson, A., Andersson, L., Bourguignon, C., Flores, M. T., Hicks, M. L., Lenzi, A. R., Malmgren, B., Moule, A. J., Pohl, Y., Tsukiboshi, M. and International Association of Dental Traumatology, (2014) [International Association of Dental Traumatology guidelines for the management of traumatic dental injuries: 1. Fractures and luxations of permanent teeth. Hebrew edition]. Refu&at ha-peh eha-shinayim (1993), 31 2: . Diangelis, A. J., Andreasen, J. O., Ebeleseder, K. A., Kenny, D. J., Trope, M., Sigurdsson, A., Andersson, L., Bourguignon, C., Flores, M. T., Hicks, M., Lenzi, A. R., Malmgren, B., Moule, A. J., Pohl, Y., Tsukiboshi, M. and International Association of Dental Traumatology, (2014) [International Association of Dental Traumatology guidelines for the management of traumatic dental injuries: 2. Avulsion of permanent teeth. Hebrew edition]. Refu&at ha-peh eha-shinayim (1993), 31 2: . Diangelis, A. J., Andreasen, J. O., Ebeleseder, K. A., Kenny, D. J., Trope, M., Sigurdsson, A., Andersson, L., Bourguignon, C., Flores, M. T., Hicks, M., Lenzi, A. R., Malmgren, B., Moule, A. J., Pohl, Y., Tsukiboshi, M. and International Association of Dental Traumatology, (2014) [International Association of Dental Traumatology guidelines for the management of traumatic dental injuries: 3. Injuries in the primary dentition. Hebrew edition]. Refu&at ha-peh eha-shinayim (1993), 31 2: . Malmgren, Barbro, Andreasen, Jens O., Flores, Marie Therese, Robertson, Agneta, DiAngelis, Anthony J., Andersson, Lars, Cavalleri, Giacomo, Cohenca, Nestor, Day, Peter, Hicks, Morris Lamar, Malmgren, Olle, Moule, Alex J., Onetto, Juan and Tsukiboshi, Mitsuhiro (2012) Guidelines for the Management of Traumatic Dental Injuries: 3. Injuries in the Primary Dentition. Pediatric Dentistry, 28 3: 174-182. Denholm I.A., Moule A.J. and Bartold P.M. (1998) The behaviour and proliferation of human dental pulp cell strains in vitro, and their response to the application of platelet-derived growth factor-BB and insulin-like growth factor-1. International Endodontic Journal, 31 4: 251-258. Root Fracture In An Immature Root Revisited? Moule A.J. (1986) Endodontics following trauma.. , 9 66-79. Brown, G. and Moule, A. J. (1983) Gutta-Percha. Australian Gemmologist, 15 2: 50-52. Brown, G. and Moule, Alexander J. (1983) The structural characteristics of various ivories. Journal of Gemmological Association of Hong Kong, 5 27-37. Moule, A. J. and Brown, G (1981) Direct radiography of diamond jewellery. Journal of Gemmology, 17 5: 300-305. Moule, A. and Adkins, K. (1979) Ultrastructure of reparative dentine formation induced by actinomycin D. Journal of Dental Research, 58 Spec. C: . Brown, G. and Moule, A. J. (1977) The structural characteristics of various ivories. Australian Gemmologist, 13 2: 47-60. Brown, G. and Moule, A. J. (1977) The structural characteristics of elephant ivory. Australian Gemmologist, 13 1: 13-17. Drug-induced xerostomia: cellular changes produced in parotid acinar cells by azathioprine. Adkins K.F. and Moule A.J. (1973) Drug-induced xerostomia: cellular changes produced in parotid acinar cells by azathioprine.. , 69 316: 112-120. Clarkson, R. M., Kidd, B, Evans, G. E. and Moule, A. J. (2013). Assessment of residual active chlorine after dissolution of incisor pulpal tissue. In: The 9th Annual Meeting of the IADR Iranian Division and the13th Annual Meeting of the IADR Kuwaiti Division, Tehran, Iran, (). 11-13 December 2013. Morey, E, Higgins, TJ and Moule, AJ (1984). Microbial-Flora of Acute Dental Infections. In: Journal of Dental Research. , , (479-479). .
Morey, E, Higgins, TJ and Moule, AJ (1983). Antibiotic-Sensitivity of Microorganisms in Dental Infections - a Retrospective Analysis. In: Journal of Dental Research. , , (406-406). .
Thomas, R, Moule, AJ, Parry, R and Shearer, G (1982). Root-Canal Morphology of Maxillary 1St Permanent Molar. In: Journal of Dental Research. , , (524-524). .